July | 2014 | "Alzheimer's: Through My Mothers Eyes"
My book added to "suggested reading list" – for Alzheimer's Support. Posted in Alzheimer's, Author, bloggers, blurbs, book, Books, caregiver, caregivers, caregiving, Dementia, disease, Elder care, Elder support, Family, Honored, Indie Authors, Indie book, Indie books, Kindle, mother, Proud, Reader, self-publishing, WordPress. Bookmark the permalink. My book added to “recommended reads” for “Alzheimer’s Support”…. Posted in Alzheimer's, Author, bloggers, blurbs, book, Books, caregiver, caregivers, caregiving, Dementia, disease, Elder care, Elder support, Honored, Indie Authors, Indie book, Indie books, Kindle, mother, Proud, Reader, self-publishing, WordPress. Bookmark the permalink. A Very Humbled Gal Got a VIBA! 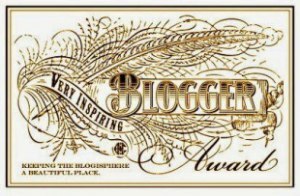 My fun new blogging writer friend, Sara DeLaVergne has nominated me for this special award and I’m stoked! Like she says on her own nomination, “It’s an honor to be called inspiring, and I’m glad I get to share this with everyone.” Ditto is one of my favorite words for a reason. 🙂 I’m humbled and thankful for the nomination, Sara! Merci beaucoup! Posted in Alzheimer's, Author, Author Interviews, bloggers, blurbs, book, Books, caregiver, caregivers, caregiving, Dementia, disease, Elder care, Elder support, Honored, Indie Authors, Indie book, Indie books, Kindle, mother, Reader, reviewer, self-publishing, WordPress. Bookmark the permalink.